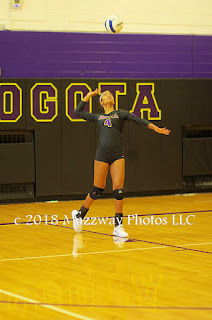 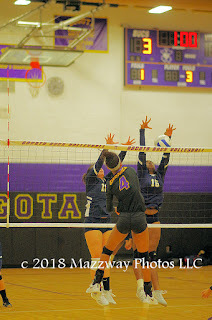 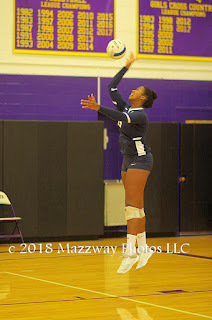 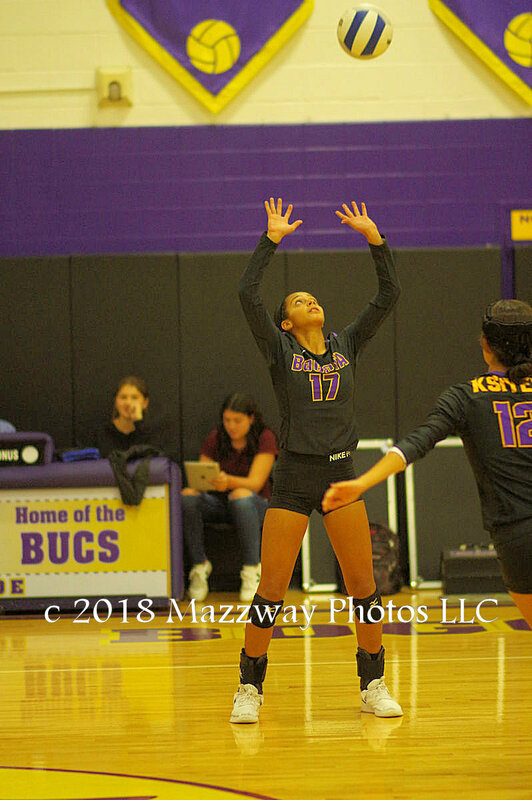 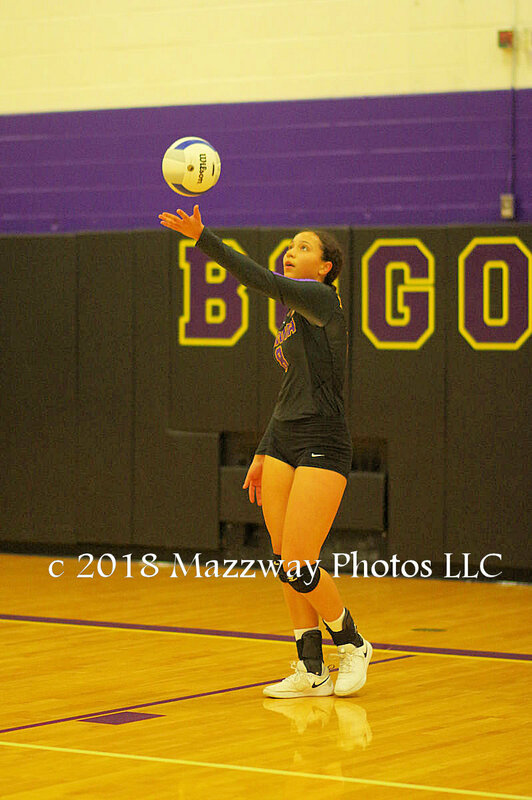 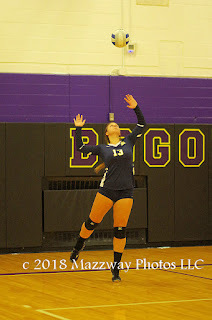 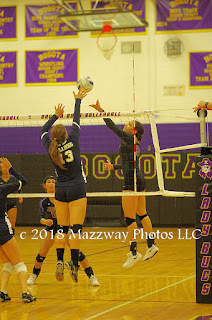 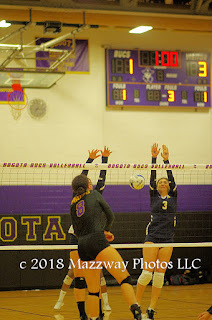 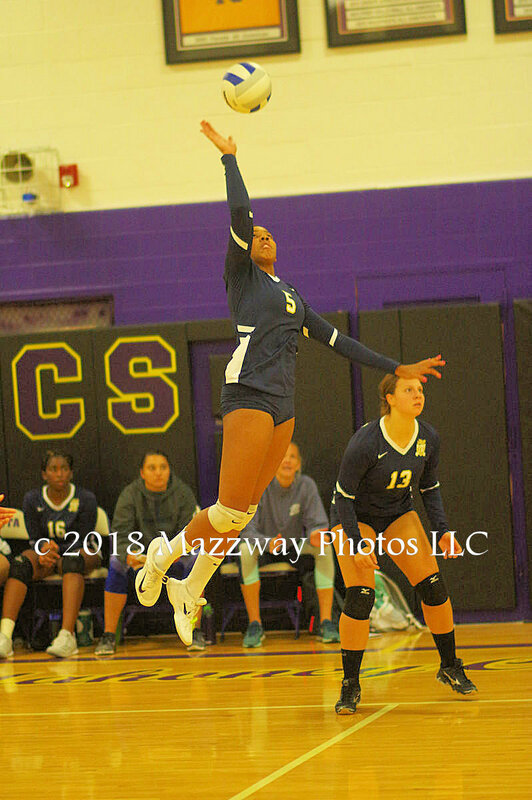 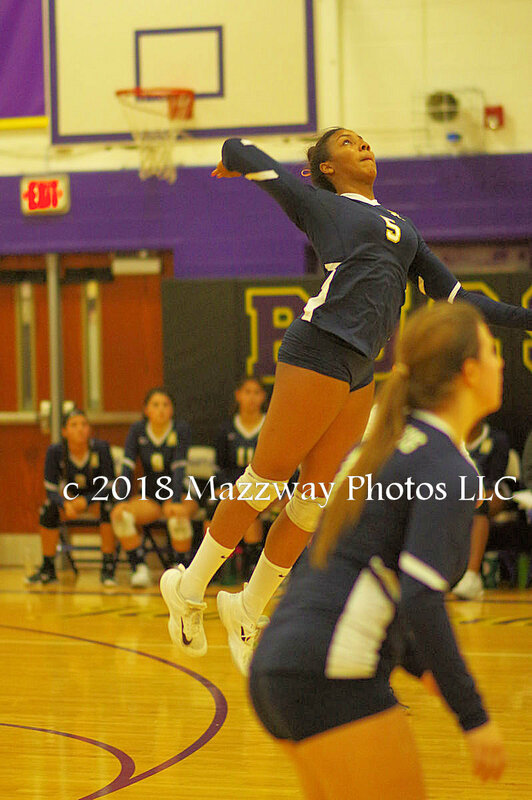 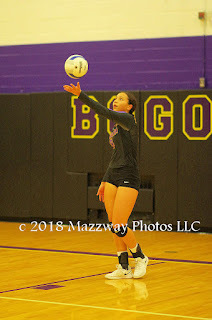 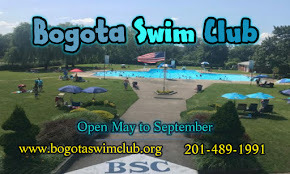 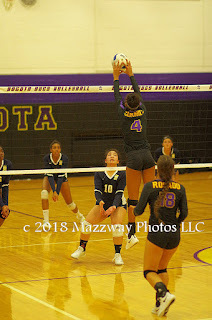 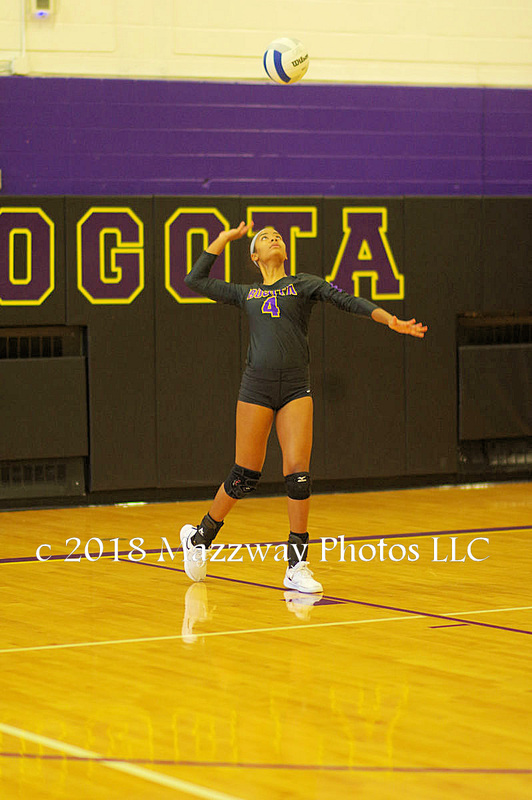 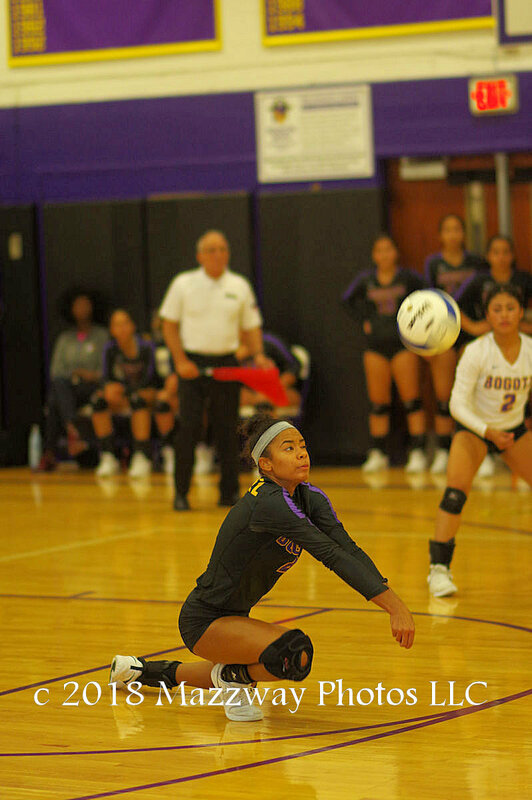 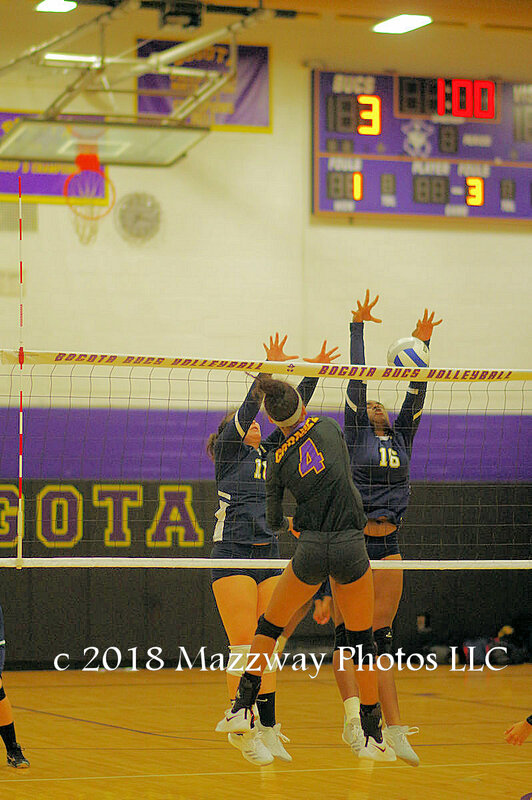 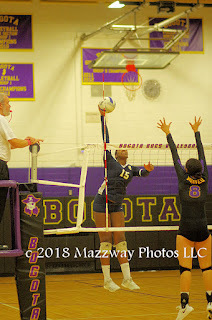 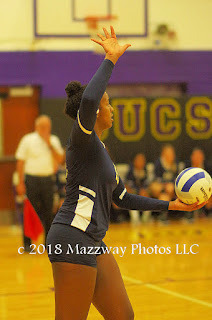 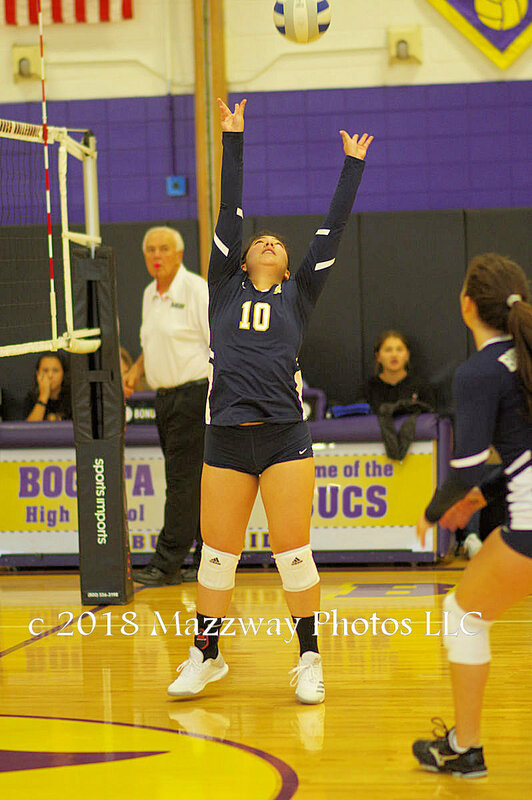 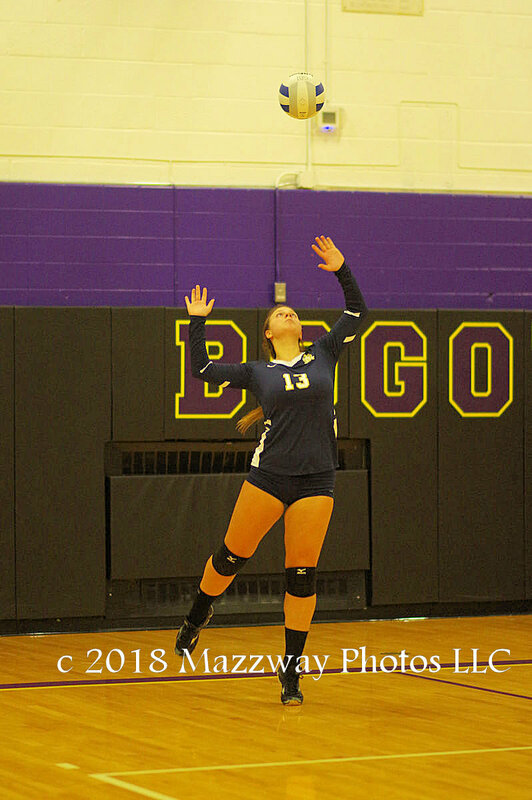 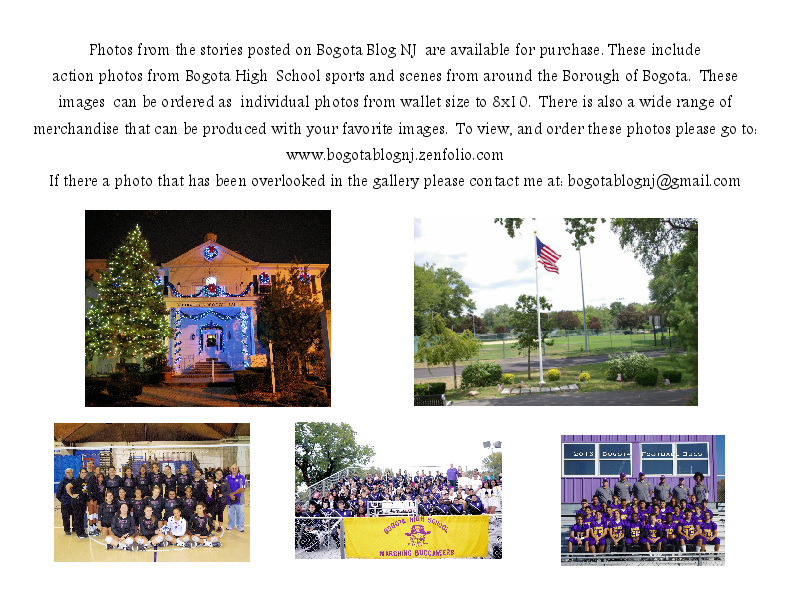 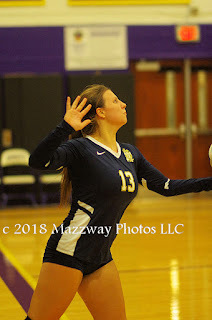 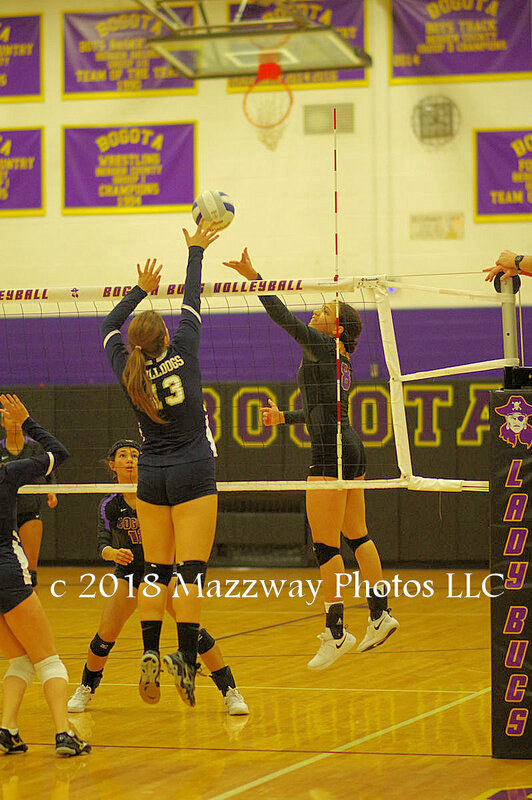 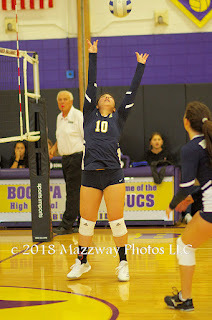 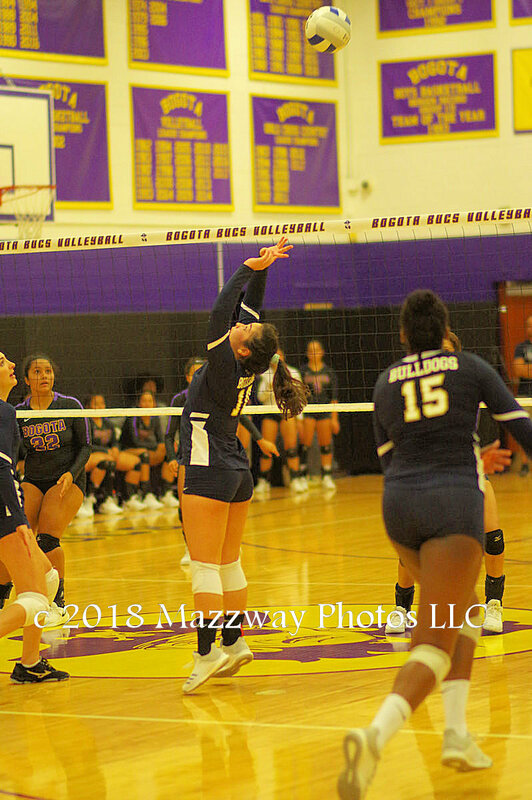 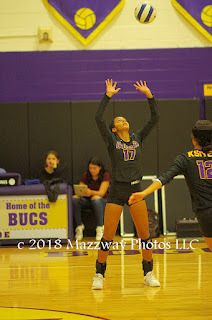 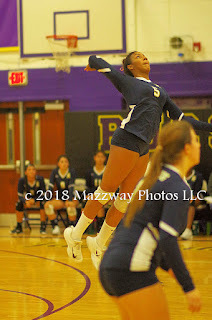 On Wednesday-3-October the Bogota Lady Bucs Volleyball team host the Lady Bulldogs from Dwight-Englewood. 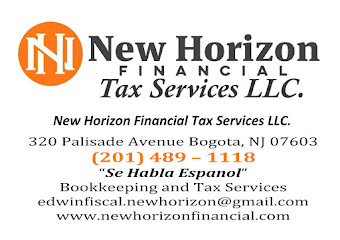 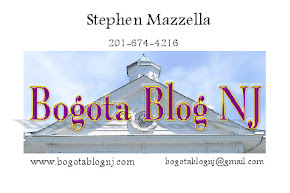 Bogota would enter the match with only one loss. Dwight-Englewood came in undefeated. 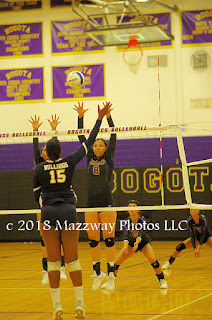 Midway through the first game Bogota would double the point total of the visitors. 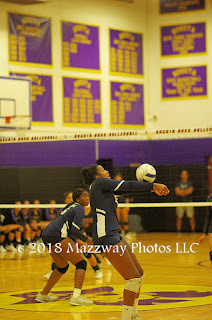 Then the Lady Bulldogs have their own run of serves and close with in one. 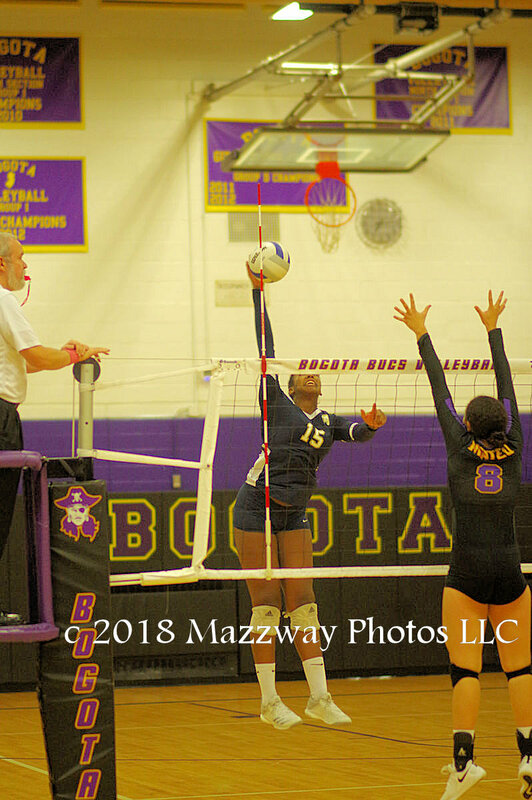 Bogota would hang on for a 25-21 win. In the second game Dwight-Englewood would open a lead in the early stages. 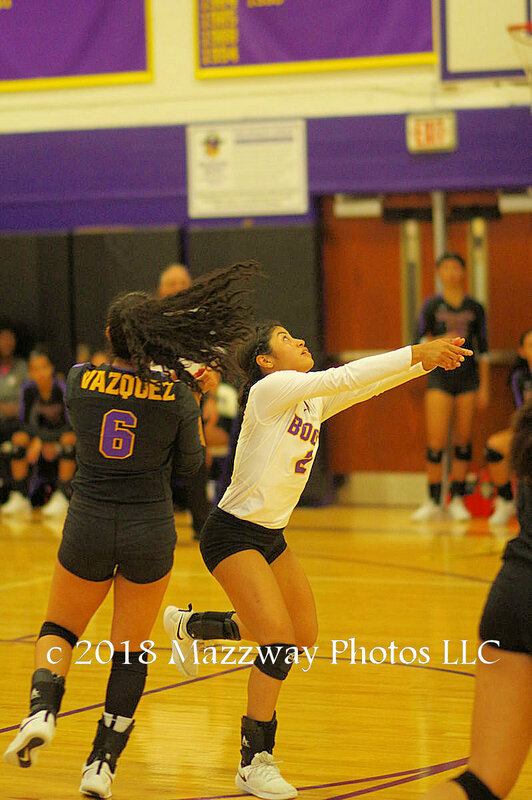 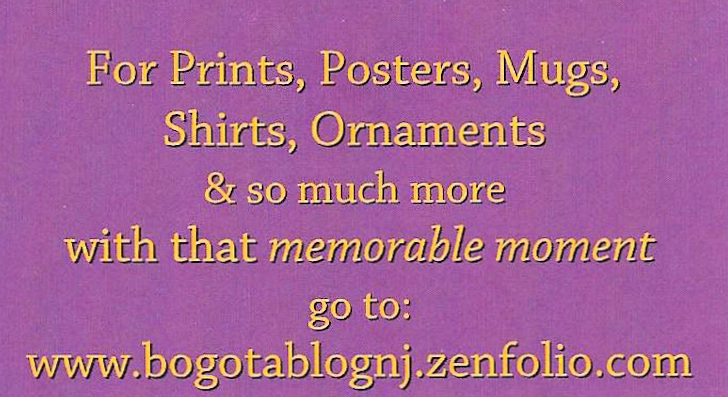 Bogota would take a small lead and the Lady Bulldogs would capitalize on Bogota service errors would draw even. 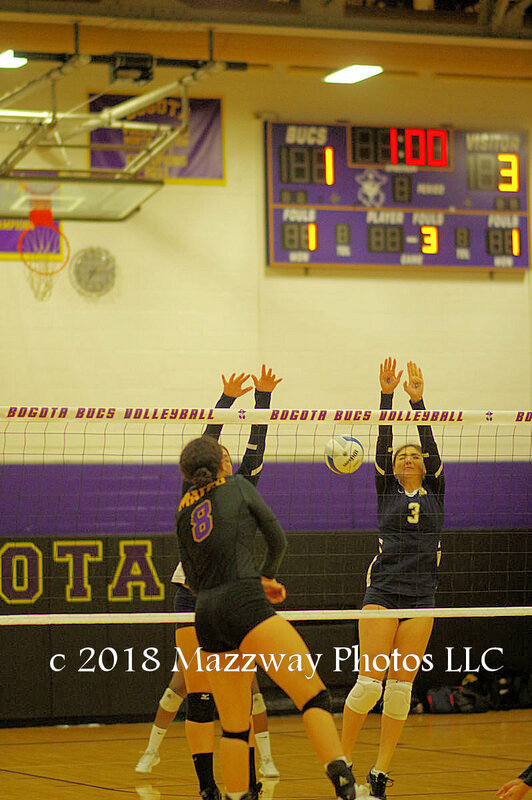 When the score was tied at 23 the second winning point would be elusive to find. 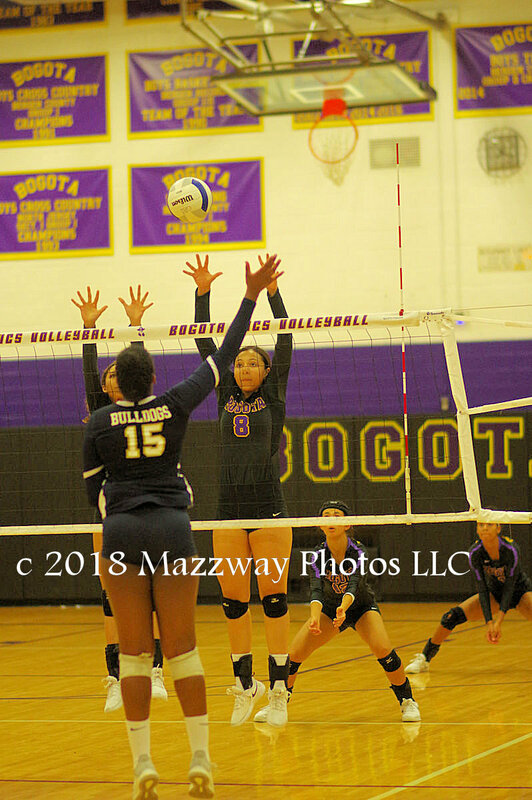 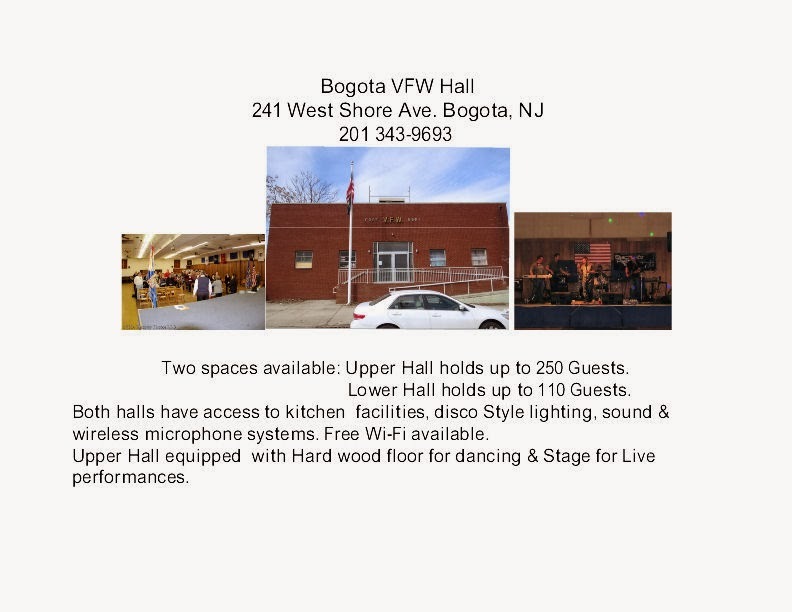 Dwight-Englewood would score and Bogota would answer. 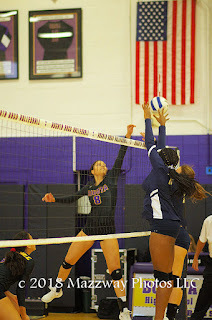 Finally the Lady Bulldogs would find the right combination and earn a 29-27 second game win. 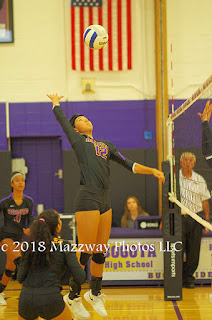 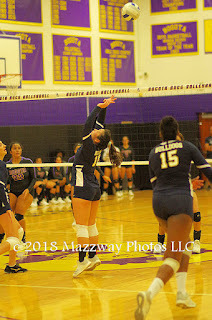 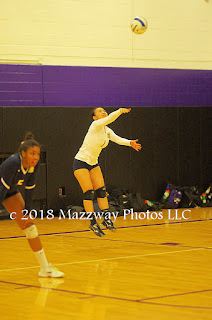 The third game would minic the second set with lead changes, missed opportunities, point saving plays and rallies that excited both teams supporters. 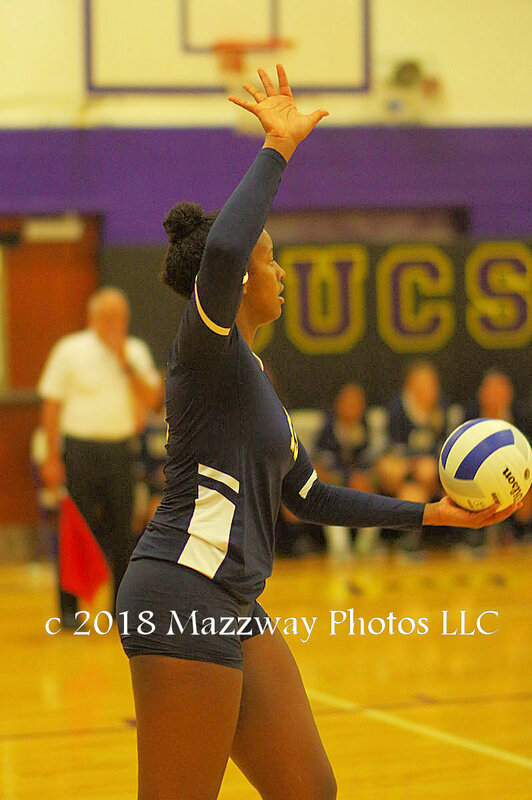 As the Lady Bucs closed in on the win, the Lady Bulldogs would work their way into extra points. Dwight-Englewood pulled out the two points to win the Game 27-25, the Match 2-1, and stay undefeated at 9-0.